Do you consider a man to be a Christian by whose bread no hungry man is ever filled? He is a Christian ... who feels another's pain as if it were his own. 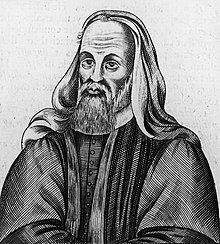 Pelagius (c. 390-418) was an Irish or British ascetic moralist, who became well known throughout the Roman Empire in Late Antiquity. He was declared a heretic by the Council of Carthage. His doctrine became known as Pelagianism. Their faith alone will not profit them, because they have not done works of righteousness. Unless a man has despised worldly things, he shall not receive those which are divine. who is made poor in the eyes of the world so that he may become rich before God. who desires heavenly things rather than earthly. Whenever I have to speak on the subject of moral instruction and the conduct of a holy life, it is my practice first to demonstrate the power and quality of human nature. The best incentive for the mind consists in teaching it that it is possible to do anything which one really wants to do.